We spend a lot of time talking about breakfast (AKA the most important meal of the day) and dinner, but lunch often seems to fall by the wayside. If you have school-age children, you know how challenging it can be to prepare and pack lunches over and over and over again. 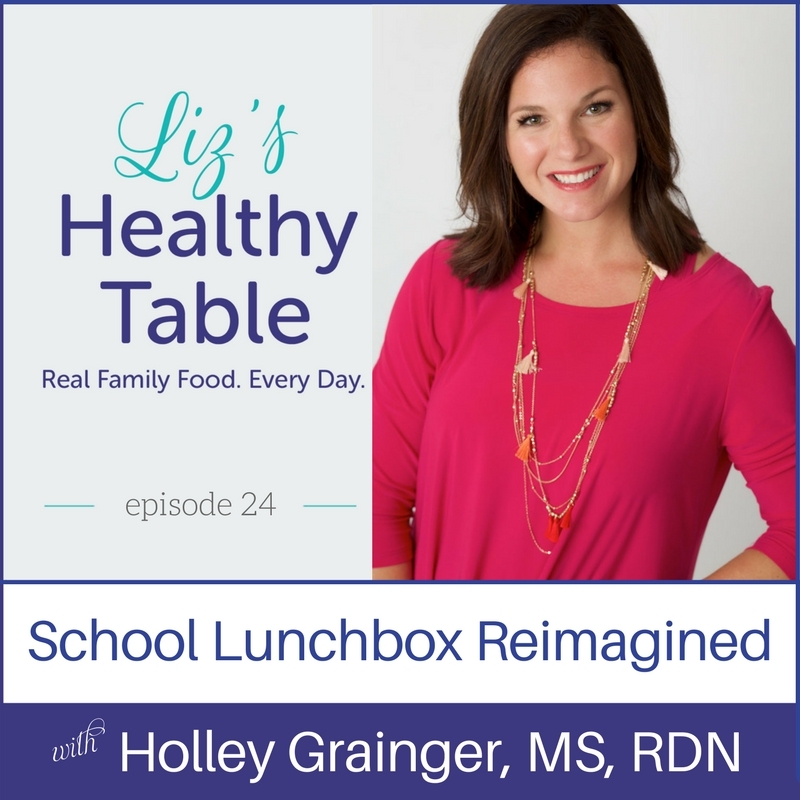 So here to the rescue with healthy, creative, and kid-friendly lunchbox ideas is dietitian, mom, and lifestyle expert Holley Grainger, MS, RDN. Whether you’re packing lunches in a basic brown bag or a cool and colorful Bento Box, this is the show for you. Holley Grainger is a nationally recognized nutrition and lifestyle expert who brings healthy fun to every part of your life with Cleverful Living. She’s the mom of two girls, Ellie and Frances, and has been packing healthy little lunchboxes for over six years. From building a better sandwich to adding more nutrition and variety to packed school lunches, Holley serves up practical tips and plentiful inspiration to get you started. Lunchboxes never go away, so find out how to tame the lunchbox monster before it overwhelms you. 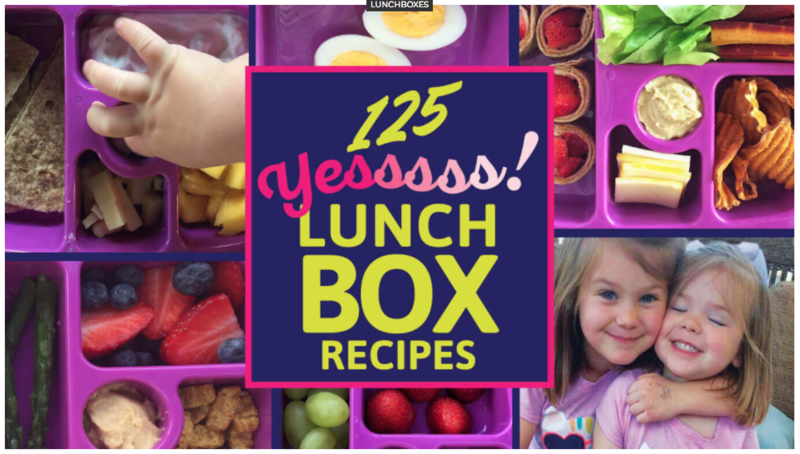 Get Holley’s FREE download, 125 Lunch Box Recipes. Never run out of school lunch ideas again! Packed school lunches are a simple way to introduce new foods to young kids and expose them to a healthy world filled with fruits and vegetables. And of course, if you’re nibbling as you pack or making a lunch meal for yourself as well, you’ll benefit too. Lunch doesn’t get the love it deserves. Kids lunches should include a few key components: vegetable, protein source, whole grain, and fruit. Protein foods like lean turkey, beans, and/or cheese gives your kids the energy they need to get through the day. Dips (hummus, ranch, guacamole) are a great way to get kids excited about eating vegetables. Does the lunchbox itself matter? Holley weighs in. Lunch provides an opportunity to introduce new foods for picky eaters. How to can get your kids involved in meal prep. Hint: Do some lunch prep after dinner when the kitchen is already a mess! Tips to get ahead of the morning rush. Learn how to build a better sandwich and the benefits of whole grains. Use your dinner leftovers for lunch the next day. Tips for using a Bento Box. Discover Holley’s favorite cookbooks including, Generations of Love and Food by Meme Inge, MS, RDN.